You'll want one for yourself. If you've seen celebs like Sarah Geronimo and Anne Curtis wearing delicate rings, earrings, and bracelets, it's all thanks to NAMÌ. The local brand was created by Cath Sobrevega and Ina Thirthdas in 2016 "on the principles of timeless jewelry...that you can mix, match, and own without breaking the bank." 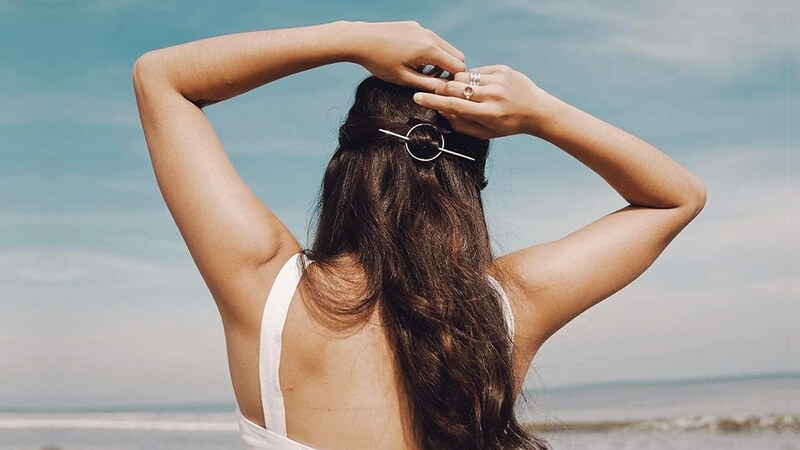 Recently, NAMÌ collaborated with celeb hairstylist Suyen Salazar (her clients include Sarah Lahbati, Georgina Wilson, Solenn Heussaff, and Martine Cajucom) and came out with cool hair accessories! The collection's minimalist aesthetic makes it perfect for any occasion, including ~*lazy days*~. Doesn't it look like a grown-up version of the barrettes you used to wear in grade school? Who needs a hair tie when you've got something this gorg to keep your locks in place? All NAMÌ x Suyen hair accessories are available in Nami.ph and starts at P990.